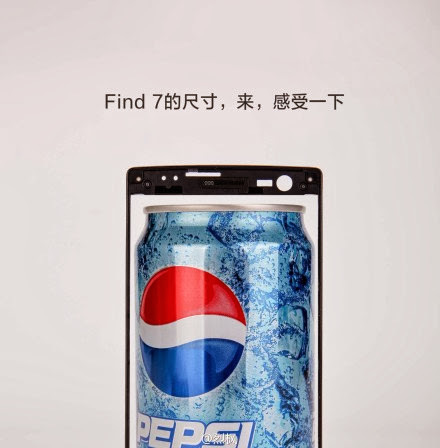 So Oppo has finally announced the display size on their coming flagship phone Find 7. It will have a 5.5-inch screen “with the feel of a 5-inch,” as Oppo says. The resolution of the screen will have the incredible 2560x1440 pixels! That means a pixel density (PPI) of 538. I think that also means that they will do like LG did with the G2, have a large screen in a small package with near edge-to-edge display. The LG G2 feels like a 4.8-inch phone, so having a 5.5-inch that feels like a 5-inch is quite possible. The Oppo Find 7 will be a device me personally will be looking out for. It sounds incredibly good. Let’s see if the can deliver too. Update: I’ve added a leaked display panel to this post. The display panel shows that the Oppo Find 7 will really have very thin bezels, like the LG G2. We can also see a quite large camera sensor hole.